Krav Maga Experience: 34 years training/teaching. 3rd Degree Black Belt / Advanced Civilian Law Enforcement Instructor Certified. Mitch holds a 3rd Degree Black belt in Krav Maga making him one of the highest ranking instructors in the country. He began his martial arts training at age seven. He trained in Judo and competed in tournaments throughout Southern California until age 13. Mitch began his Krav Maga training in 1985 with the US Chief Instructor Darren Levine. He received his black belt and instructor certifications from Darren Levine and the Israeli Chief Instructor Eyal Yanilov. Mitch began teaching in 1988 at the University of Judaism in Los Angeles. 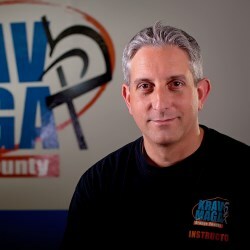 In 1992, Mitch co-founded Krav Maga of Orange County with Michael Leifer. 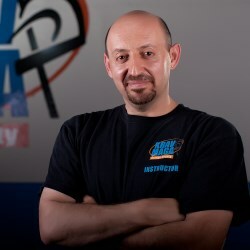 In 2009 he co-founded the Krav Maga Martial Arts and Training Center in Mission Viejo. Mitch holds the rank of Shodan in Aikido and is an instructor with the Mission Aikido dojo. In addition to Judo, Krav Maga and Aikido, Mitch has experience in Ninjitsu, Jujitsu, Boxing and Kali. He is an NRA certified pistol instructor and a graduate of the School for Instructors at the Wingate Institute in Israel for Martial Arts Education. 2nd Degree Black Belt. Mike began his training in Krav Maga in 1985. He received his black belt and instructor certification from the US Chief Instructor Darren Levine and Israeli Chief Instructor Eyal Yanilov. Mike holds a 2nd Degree Black belt in Krav Maga. 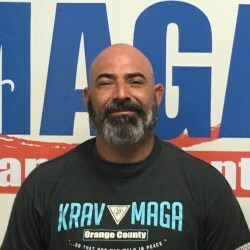 He co-founded Krav Maga of Orange County in 1992 with Mitch Markowitz and has been instructing both civilian and law enforcement in the program since then. He is a graduate of the School for Instructors at the Wingate Institute in Israel for Martial Arts Education. He has participated in seminars conducted by the highest ranking Krav Maga instructors in the US and Israel including Darren Levine, Eyal Yanilov, Tamir Gilad, Jon Pascal, Amir Perets, Avi Abeceedon, Erez Sharabi, and Jarret Waldman. Krav Maga Experience: 34 years training/teaching, US and international. 3rd Degree Black Belt / Advanced Civilian Law Enforcement Instructor Certified. Yuri trained and became an instructor in Natanya, Israel under Mr. Eli Avikzar (Imi’s top student at the time). He received his black belt from Imi Lichtenfeld himself. Yuri holds a 3rd Degree Black belt in Krav Maga. He is a graduate of the School for Instructors at the Wingate Institute in Israel for Martial Arts Education. He is a graduate of the Senior Instructor program from the Academic College at Wingate in Israel for Martial Arts Education. He is a second in the world to receive this prestigious certificate. Yuri was teaching the Israeli Defense Forces (IDF) as well as civilians and law enforcement personnel in Israel. Yuri provided training to Israeli security forces protecting embassies and consulates as well as local law enforcement agencies in the U.S. 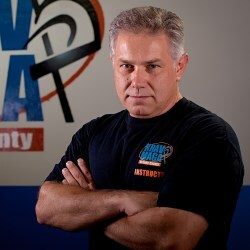 He has been teaching with Krav Maga of Orange County since 2001. In addition to Krav Maga, Yuri has trained in Aikido, Boxing, kickboxing and Thai boxing. In addition to teaching adults, Yuri is a certified km-X, (Krav Maga for Kids) Instructor and the head of the program in our schools. In 2009 he co-founded the Krav Maga Martial Arts and Training Center in Mission Viejo. Yuri currently serves as a faculty member of the MMA Conditioning Association. He is an NRA certified pistol instructor and a certified Law Enforcement Instructor. Krav Maga Experience: 31 years training/teaching. 3rd Degree Black Belt / Advanced Civilian Law Enforcement Instructor Certified. 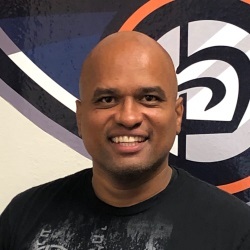 Larry is a Southern California native and began his training in Krav Maga in 1988 under one of Darren Levine's first black belt instructors. He received his first instructor certification in 1995 after completing courses taught by Darren and Israeli Chief Instructor Eyal Yanilov and received his 1st Degree Krav Maga Black Belt at the grand opening of the Krav Maga National Training Center in 1997. Larry was promoted to 2nd Degree Black Belt in 2014 and 3rd degree Black Belt in 2019. 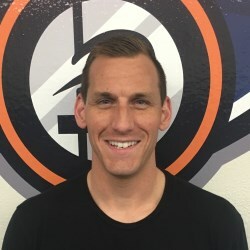 He began training with Mike and Mitch in Orange County in 1994 and has been teaching with them since 1996. He has also completed several Krav Maga seminars under the tutelage of Darren Levine, Eyal Yanilov, Tamir Gilad, Avi Abeceedon, Erez Sharabi, and Amir Perets. Krav Maga Experience: 12 years training/teaching. 2nd Degree Black Belt / Advanced Civilian Law Enforcement Instructor Certified. 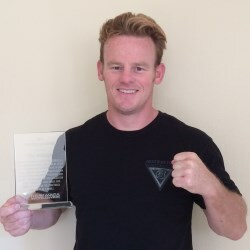 Paul was born and raised in Glasgow, Scotland and joined Krav Maga of Orange County in 2007. Paul holds a 2nd Degree Black belt in Krav Maga. He began training in martial arts at the age of 14 and holds a second degree black belt in Shotokan Karate from the Scottish Karate Association. He is a Krav Maga Worldwide certified instructor and earned his black belt in 2016. He completed his instructor training under the tutelage of Darren Levine, Kelly Campbell, AJ Draven, Michael Margolin and Jon Pascal; and has participated in seminars conducted by the highest ranking Krav Maga instructors in the US and Israel including Darren Levine, John Whitman, Jon Pascal, Eyal Yanilov, Tamir Gilad, Amir Perets, Avi Abeceedon, Erez Sharabi, and Jarret Waldman. He is an NRA certified pistol instructor and a certified Krav Maga Worldwide Force Training Division Law Enforcement Instructor. Krav Maga Experience: 18 years training/teaching. 2nd Degree Black Belt. Eric is a California native, born and raised in Orange County. 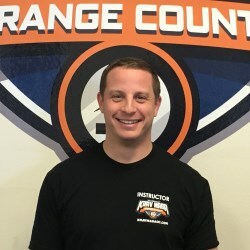 Eric has trained with the senior instructors of Krav Maga of Orange County since 2001. He received his black belt in 2011 from John Whitman. Eric holds a 2nd Degree Black belt in Krav Maga. He is a certified instructor, certified FAST instructor and has also completed several special topics seminars including "Krav Maga in Low Light Environments" taught by senior Krav Maga instructor Tamir Gilad from Israel and several seminars lead by US Chief Instructor Darren Levine. Krav Maga Experience: 14 years training/teaching. 1st Degree Black Belt / Civilian Law Enforcement Instructor Certified. Mike has trained in Krav Maga since 2005 and received his black belt from John Whitman in 2011. He is a KMW certified instructor, KMW certified Law Enforcement Instructor, and is a certified FAST instructor. Mike continues to train under Kelly Campbell and other KMW senior instructors. He also currently trains in muay thai and his past martial arts include Brazilian Jiu Jitsu, Tae Kwon Do and Boxing. He has participated in seminars conducted by the highest ranking Krav Maga instructors in the US and from Israel. Brown Belt. Mike is retired from the United States Secret Service after over two decades on the job. He began his training in Krav Maga with KMOC in 2007 and has progressed through the system earning his brown belt. He is a certified instructor and is currently working towards his black belt. He has participated in seminars conducted by the highest ranking Krav Maga instructors in the US and from Israel including Darren Levine, Jon Pascal, Eyal Yanilov, Tamir Gilad, Amir Perets, Avi Abeceedon, Erez Sharabi, Kelly Campbell and Jarret Waldman. Krav Maga Experience: 9 years training/teaching. Blue Belt / Law Enforcement Instructor Certified. Adam is a full-time officer with a Southern California police department. His assignments have included patrol officer, field training officer, detective, and Critical Incident Response Team member. He is a California P.O.S.T. approved use of force instructor, and teaches defensive tactics and arrest and control at his department. 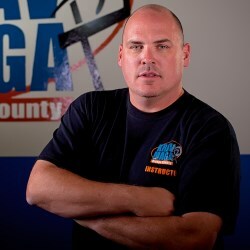 He is a Krav Maga Force Training Division certified law enforcement instructor. He is currently working towards his brown belt and is a Krav Maga certified instructor. Adam has participated in seminars conducted by the highest ranking Krav Maga instructors in the US including Darren Levine, Kelly Campbell, and Jon Pascal. Krav Maga Experience: 13 years training/teaching. Blue Belt. Raised in Rochester, NY, Robert started his training in wrestling for one of the top ranked high school programs in the state. He trained in Aikido in Tempe, AZ for three years until he moved to Los Angeles. In 2006, Robert walked into the KMW center in West LA and has been training ever since. He is currently working towards his brown belt and has been a Krav Maga certified instructor at KMW West LA since 2009. Robert's professional career has brought him to Orange County. He has participated in seminars conducted by the highest ranking Krav Maga instructors in the US including Darren Levine, Kelly Campbell, and Jon Pascal. Krav Maga Experience: 16 years training/teaching. Blue Belt / Civilian Law Enforcement Instructor Certified.Stephen was first exposed to martial arts when he served in the British Armed Forces. Upon arrival in the United States, Stephen continued his study of martial arts with American Kenpo Karate. In 2003, he joined Krav Maga Worldwide and was fortunate to receive training from Darren Levine, John Whitman, Kelly Campbell and Jarret Waldman. Stephen began training in Krav Maga with KMOC in 2008 and has progressed through the system. He is a certified instructor and is currently working towards his brown belt. He has participated in seminars conducted by the highest ranking Krav Maga instructors in the US and from Israel including Darren Levine, Jon Pascal,Eyal Yanilov, Tamir Gilad, Amir Perets, Avi Abeceedon, Erez Sharabi, and Jarret Waldman. He is also a certified Law Enforcement Instructor. Krav Maga Experience: 10 years training/teaching. Blue Belt. Doug is a local native and attorney. He first began his training in martial arts at the age of 16. He has 7 years experience in Ed Parker's American Kenpo, 4 years in Shito-Ryu Karate under one of the top Japanese instructors in the United States, 4 years in Shorinji Kempo ( a style similar to aiki-jujitsu), 2 years in Aikido study part of which is with KMOC's own Mission Aikido. He has been exposed to law enforcement defensive tactics as a graduate of the OCSD academy and past employment with a local law enforcement agency. Doug came to KMOC in 2009 to expand his study of street applicable fighting systems and is working towards his brown belt. He is currently involved in KMOC's Adult and children's program. Since finding KMOC, he has been priviledged to complete seminars with some of the top Krav Maga instructors within the system including Darren Levine, Jarrett Waldman, Kelly Campbell, Matt Romond, Avi Abeceedon, Erez Sharabi, and Tamir Gilad. Brown Belt. Elana was born and raised in Boston, MA, which is where she began training in Krav Maga in 2006. She has been training in the martial arts since a young age, and past experience includes Tang Soo Do, Bagua Zhang, Tai Chi, Japanese Jiu Jitsu, kickboxing, Muay Thai, Mixed Martial Arts (MMA), Haganah, and Brazilian Jiu Jitsu. Elana is currently teaching in KMOC's Adults, children and women's programs. She is a certified instructor and is currently working toward her black belt. She has participated in seminars conducted by Mike Lee Kanarek, Darren Levine, and Matt Romond. Krav Maga Experience: 7 years training/teaching. Brown Belt. Taylor began training in Krav Maga with KMOC in 2012 and has steadily progressed through the system, currently training for his black belt. 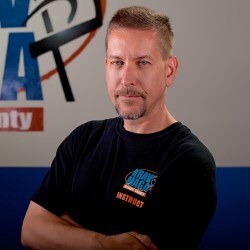 He is a certified instructor and an NRA certified pistol instructor. 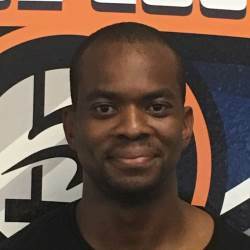 Taylor has participated in seminars conducted by the highest ranking Krav Maga instructors in the US and from Israel including Darren Levine, Avi Abeceedon, and Erez Sharabi. Brown Belt. 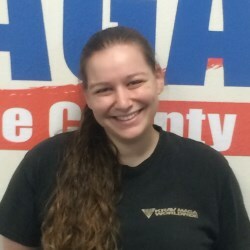 Raised in Atlanta GA, Patricia started Krav Maga at Atlanta Krav Maga and Fitness. She trained there for 3 years before moving to SoCal for a new position with her company. Currently she is working toward her black belt in Krav Maga and is a Krav Maga certified instructor. 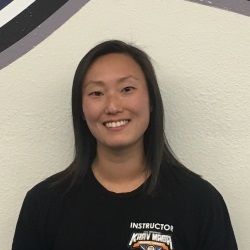 She has participated in seminars conducted by the highest ranking Krav Maga instructors in the US including Darren Levine, Kelly Campbell, Wayne Miller, and Jr.
Blue Belt. Jacob began training in Krav Maga with KMOC in 2009 and has steadily progressed through the system. He is a certified instructor and currently training for his brown belt. He is currently teaching in KMOC's Adult and children's program. He has participated in seminars conducted by the highest ranking Krav Maga instructors in the US and from Israel including Darren Levine, Eyal Yanilov, Tamir Gilad, Jon Pascal, Amir Perets, Jarret Waldman, Avi Abeceedon and Erez Sharabi. Brown Belt. Matt was born and raised in southern California. A former high school wrestler and began training with KMOC in 2012. He is a certified instructor and currently working towards black belt. Matt is currently teaching in KMOC's Adult and children's program. He has participated in seminars conductend by high ranking Krav Maga instructors including Darren Levine, Matt Romond, and Christen Medina. He also practices Brazilian Jiu Jitsu. Krav Maga Experience: 6 years training/teaching. Orange Belt. Dieter Jacobs (DJ) was born in Cape Town, South Africa, and move to California in 2000. He started training Krav Maga in 2013 in Chino Hills, and became a Krav Maga Worldwide Certified Instructor in 2015. 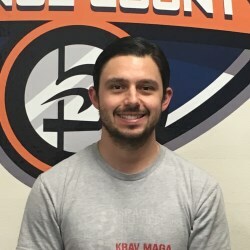 He began training with Krav Maga OC in 2018. He has trained under some of the highest ranking instructors in the USA, including Kelly Campbell, Wayne Miller, John Merkle (Jr.), and Christian Medina. Kickboxing / Krav Maga Experience: 10 years training/teaching. Born and raised in Southern California, Jacob started his training in wrestling under the coaching of California state placer Ken Workman and National Ukrainian champion Valentin Kalika. In 2009, Jacob began training in Muay Thai Kickboxing under Phuket Top Team member Raja Shippen and UFC light heavyweight Krzysztof Soszynski. Additionally, Jacob has trained In grappling and wrestling under Cesar Gracie black belt Jason Many and UFC light heavyweight contender Mark Munoz. 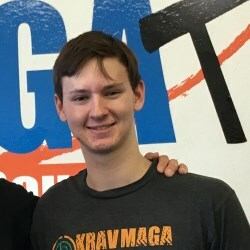 Jacob found KMOC in 2013 and is currently training towards his blue belt in Krav Maga. Kickboxing Experience: 25 years training/teaching. Mark started training in Muay Thai Kickboxing at Fairtex in Chandler AZ in 1994. In spring 1995 Fairtex moved to San Francisco, CA and Mark cofounded House of Pain Muay Thai in Gilbert AZ, where he trained under Lightweight Champion Sakasem Kanthawong. Mark taught Muay Thai at House of Pain and fought as a middleweight at 155 lbs for 2 years. Mark has taught Muay Thai in small classes at several gyms over the last 15 years. To a lesser extent, Mark has also has practiced some basic Aikido, Hapkido, and Gojuryu. Kickboxing Experience: 7 years training/teaching. Kokou started training in Muay Thai kickboxing and Boxing training in 2012 after moving from Boston, MA where he lived for 13 years. Kokou is an avid martial arts practitioner with interests in Brazilian Capoeira and MMA. In addition to his Muay Thai experience, Kokou has being training in Krav Maga for the past 2 years. Kickboxing/Martial Arts Experience: 14 years training/teaching. Born and raised in Southern California, Jessica began training in martial arts when she was 10 years old. She has 13 years of experience as an instructor and has a 2nd degree black belt in Tae Kwon Do. She also has been training in Muay Thai Kickboxing/Mixed Martial Arts (MMA) for 6 years and has been teaching kickboxing for 4 years.